With the option of light duty, heavy duty and JCB stackers to choose from we have platforms to suit every stacking need. They are designed for light and heavy duty use, work well in confined spaces and are very versatile. They are the ideal solution to countless handling problems which are regularly encountered in all areas of business. 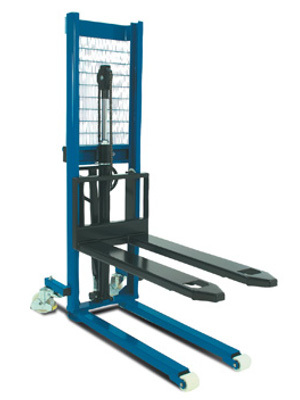 Stackers are a fantastically low cost alternative to forklift trucks. 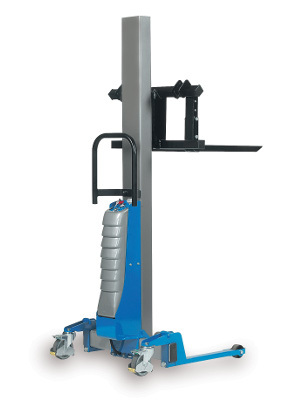 Not only can they do what a forklift truck does, they are also available with a variety of standard, modified and bespoke attachments including booms, jibs, platforms. Here, at Cherry Picker, we have over 20 years experience supplying stackers to the Irish market, in Dublin and the surrounding counties. Call Cherry Picker on 1890 228 229 or 01 835 4788 and let our experts help you choose the right access platform to meet your needs, we can guide you in the right direction.